If you need help finding someone to help you with your loan, I can recommend a lender with whom my clients have been very happy. Michael Murray of First Savings Mortgage has really earned the praise of my clients! Once the loan is approved, your next step will be to sign the final loan documents, which usually takes place in the presence of a notary public. 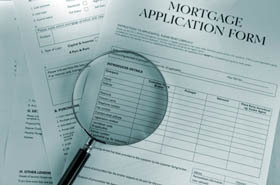 Be sure to verify the information within the document, especially the interest rate and loan terms. Also check to see if your name and address are correct. Finally, don’t forget to bring a cashier’s check for your down payment and closing costs. I have worked extensively with Paragon Title & Escrow Company, a trusted resource to walk you through the settlement process fairly and honestly. Please Click Here for a list of lenders with whom I have worked - and my clients have been happy. If you are in need of a construction loan specialist, I recommend Glenn Schwartz of US Bank at 301-455-7777 or glenn.schwartz@usbank.com.